In the late 1960's Morgan formed his own Arrangement and music services� business. He preferred the songs to be submitted to him in both manuscript form and with an accompanying tape but he would write a lead sheet if there was no manuscript. Two services were offered. A Duosound where the song would be performed by a professional singer with a piano or guitar accompaniment or a Groupsound performed by a vocalist, vocal group and instrumentalists. In each case a demonstration disc and a master tape would be produced. 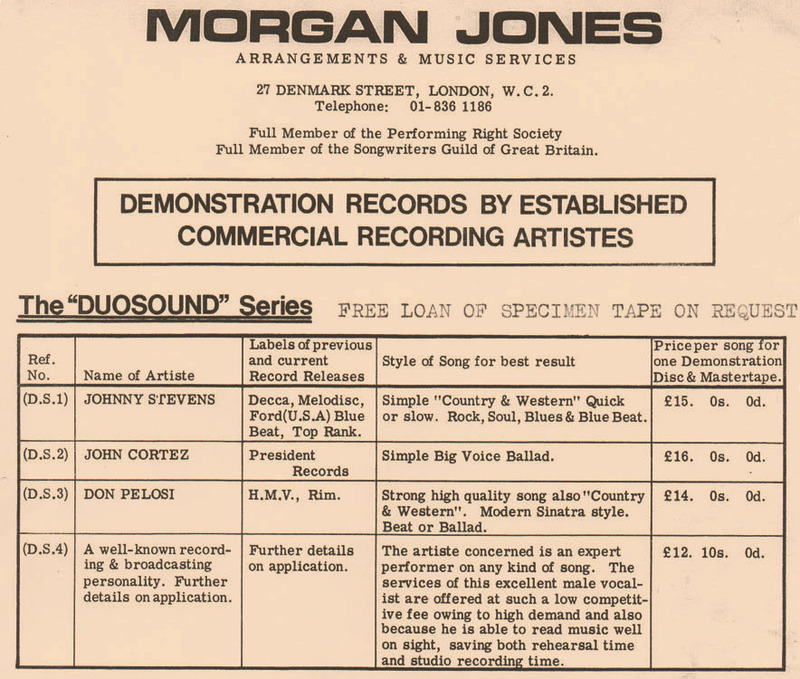 Below is an extract from his service details showing the artistes� he used and prices dating from 1970. Click HERE to see the full sheet in the Additional material pages.